Lot 33 Brass Oval Diesel Worksplate. 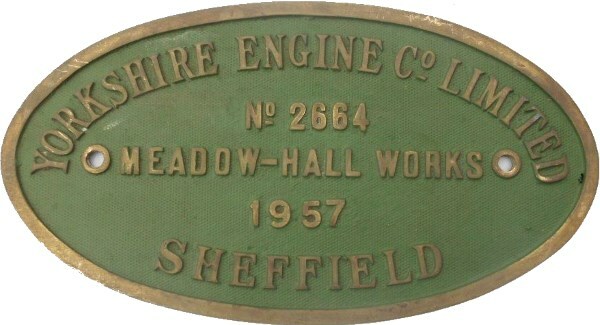 "YORKSHIRE ENGINE CO LTD - Works No 2664 - 1957". As carried by a 0-4-0 Diesel Type DE2 270HP. New to Peach & Tozer, Rotherham. Ex Loco condition.